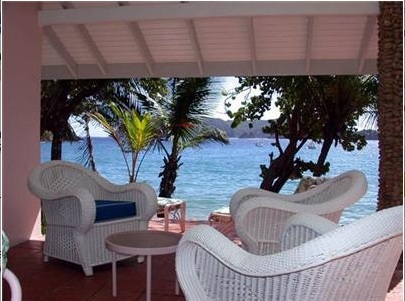 Blue Waters Inn Tobago is a boutique hotel that is located on its own isolated beach in Speyside. Take about a 1 hour and 15 minutes away from Crown Point Airport. Scuba diving at Blue Waters Inn is easily set up through the on location dive shop, Aquamarine Dive. This resort is perched on shores just a stone's through away from the most pristine reefs in Tobago. During your surface intervals be sure to ask about birdwatching on the nature trails in and around Speyside. Dine at Blue Waters Inn's Fish Pot Restaurant with local cuisine of Tobago or take a relaxing drink at the Shipwreck Bar right on the ocean front.